Getting started with the micro-learning modules is quick and easy. 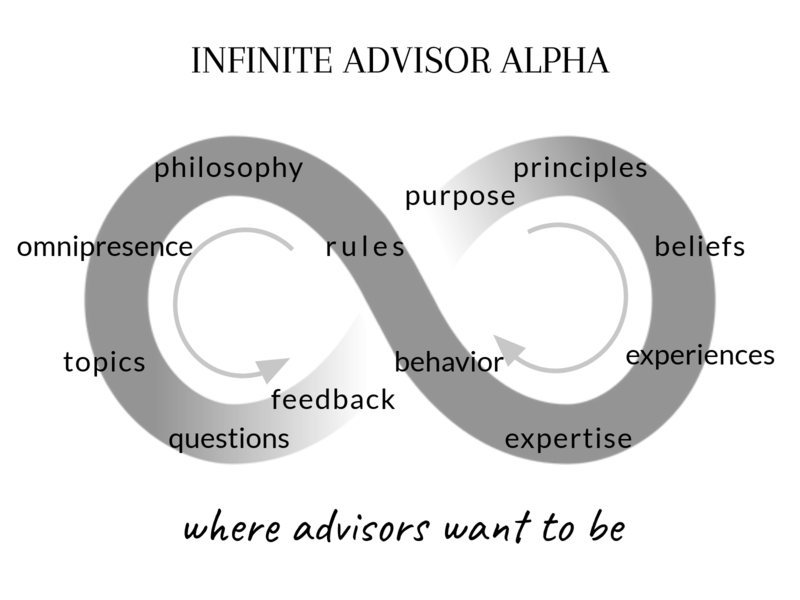 The incremental steps you take within the progression of the Infinite Advisor Alpha model will empower you with value that will last a lifetime. The progression itself, is designed to produce exponential results by combining the 12 critical components of advisor value (in a multitude of combinations) to produce a whole which is greater than the sum of the parts. 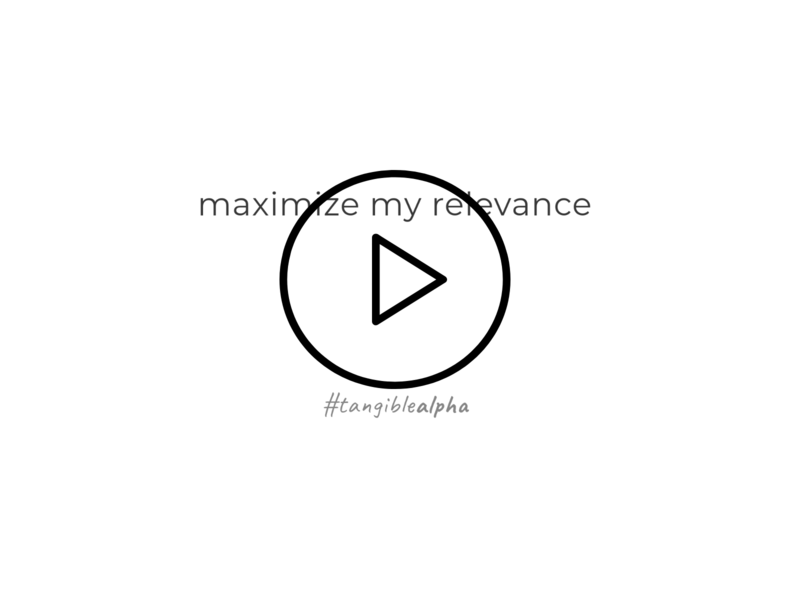 We have spent the past four decades perfecting advisor value development… for you to maximize your relevance… in minutes. As you will see, your relevance is the key to your survival in the new Robo-World of financial services. Silent movies… the video modules are silent. They have no sound because we believe the narrative voice of your future is yours. When you watch the micro-modules, please read along… out loud. Your voice will guide you and dictate your future… we are just here to help you along the way. Tap or click on My Notebook… It will open in a new tab with another trusted domain. Evernote.com This is how your micro-modules will be made available to you 24/7. 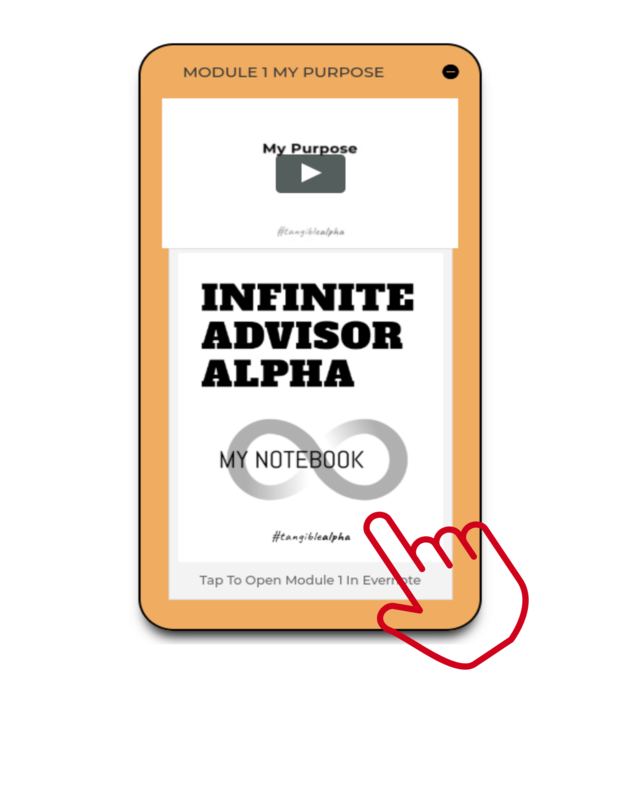 The editing on Evernote is second-to-none… designing your personal notebook is simple and the process of updating your Infinite Advisor Alpha will never be more than a click away… Especially when you download the app to your smart device. Evernote. Thank goodness for Evernote! 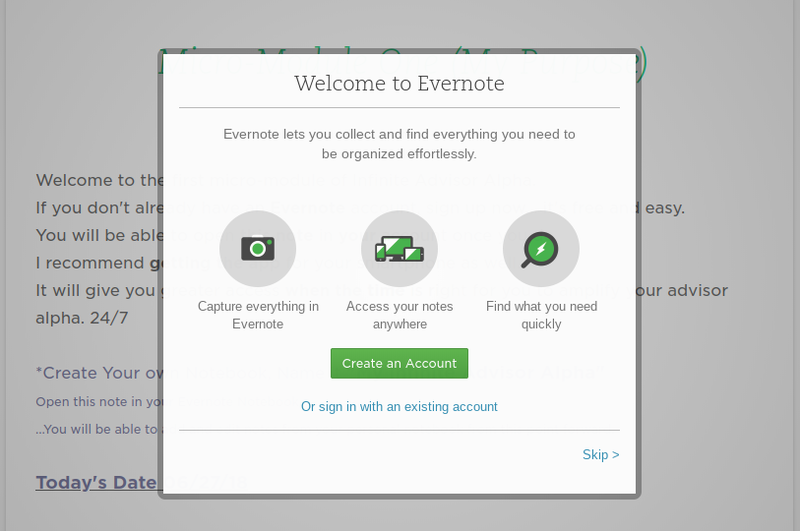 The links embedded in the notebooks will take you to Evernote (a very secure and reputable site) where you will be given instructions on how to create an account (for free) and start documenting your journey in your own secure Notebook. Start building your business on purpose… every day! We will be sharing content daily through the blog to help you not only survive in the new Robo-World of financial services… but thrive!